Mirror Mirror Above the Bed! What fun to come back from a long day of running around for work and travel to find a massive mirror above my hotel bed! 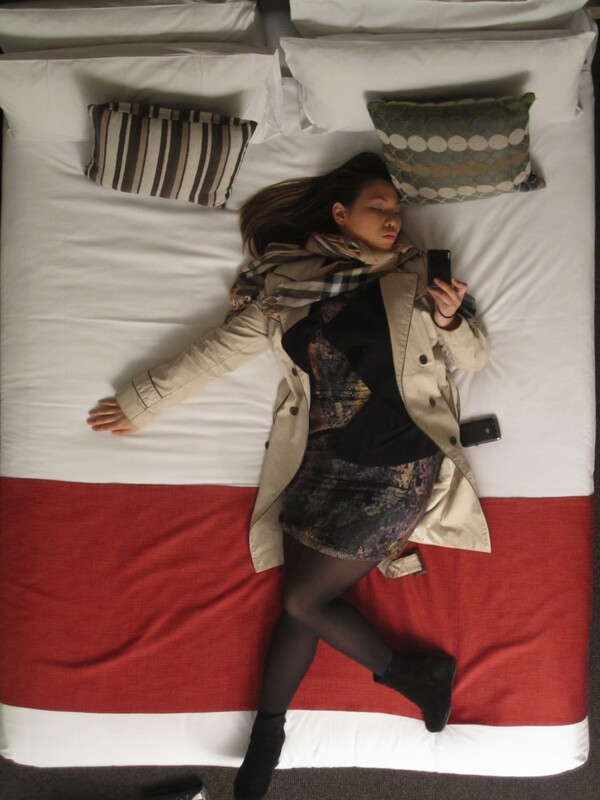 I happened to stay at the Macquarie Leisure Inn in Hobart for my 1 day business trip to Hobart, Tasmania. The hotel isn’t all that great to be honest, but I like staying here because they always have rooms, good location, and the rooms are of a decent standard for the inexpensive nightly rates. Plus every now and then I get a nice Executive Room with a Giant Mirror above the bed! Of course, it was more fun for take photos of myself than anything else 😛 I will take this opportunity to complain that the internet wasn’t working while I was here and that the bathroom fittings were not very good with the faucet in the bath tub lacking any pressure (it took forever to fill the bath tub so I could use the jets!). Not a luxury hotel, but decent budget accommodation. ← Tasmania’s Obsession with Fudge!